On the flip side of Marathon training and running, NEXT WEEK!! I am very excited to work on speed work, muscle building and shorter Races. Muscle Man has been running 4 days a week to be my pacer. Yesterday we set out in the RAIN for a family run. I tested my new video camera and need some PRACTICE. When we got to the track we let the Little Studs play in the puddles and kick the soccer ball. Then hubby wanted to RUN and RUN FAST! His goal? To run a sub 7 minute mile while pushing 85++ pounds of kids around a track. No Small feat. So off we went. The pace felt uncomfortable, I have not done speedwork in weeks. I was breathing hard and my legs felt heavy. One lap down and we were behind pace by 3 seconds, UGH! The second lap I was holding strong, starting to hit my stride, we hit the lap and were 4 second behind pace. The third lap we were both breathing hard and the Little Studs started to fuss, still 4 seconds behind. LAST LAP, I knew I needed to kick it up if we were going to get a sub 7 minute mile, so I sped up. I thought "I hope this does not make him want to slow, but I am pretty sure it will make him want to go faster." How do I hold this pace for 3.1 wowzers, I am going to need some work before my next 5K. I SPRINTED to the finish and was at 6:57, hubby finished at 6:59. But when I plugged in my Garmin it said 6:38, WHAT? I am going with that. We ended up with over 3.1 miles of Family time and speedwork. I bought Muscle Man a red shirt so we can match at our next race. This Summer is going to be a BLAST with my speedy hubby. I cant imagine how fast he will be when he is not pushing the jogger... GULP! My Garmin is currently out of commission. I need to mail it off today. that's amazing how fast he is, with the stroller to boot! That is one speedy mile... great job. I love it when the guys push the joggers! Congrats to Muscle Man on the speedy time with your boys. That is AMAZING! I need to get my hubby to speed up so that he can be my pacer! Can't imagine pushing a jogger and running that fast!! Great job to the both of you! WOW, way to go Muscle Man and family!!! Great job! Fast Mile, Mel!! Now just hold that for 26.2! HE he! I want to run an under 21 minute 5K too. Ever since I saw one of the Biggest Loser contestants Daris run it in that time. so cool! love the matching shirts. 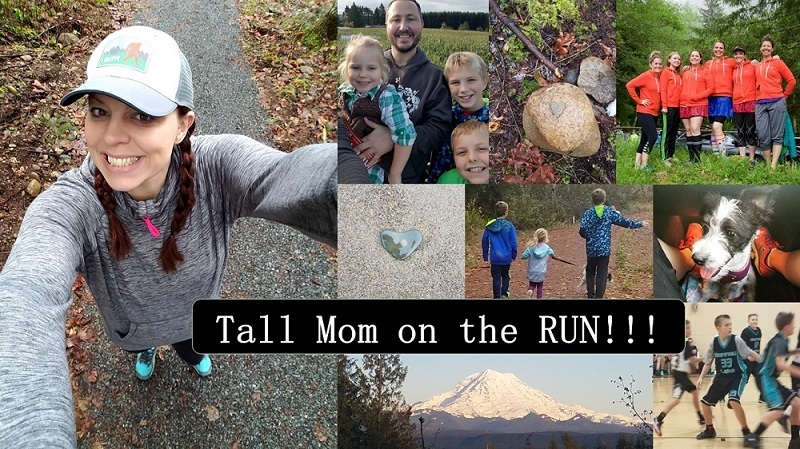 I always enjoy reading about your family runs -- LOVE IT! Impressive. I can't get below 7:30 with only 40 pounds of child. Now, rest!